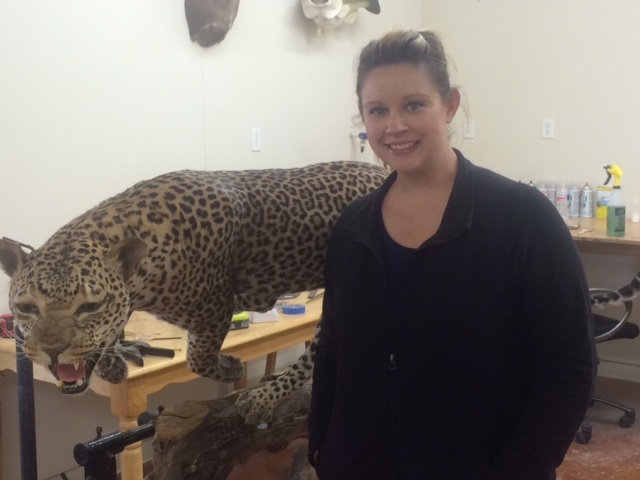 Profile Response: Realistic Taxidermy, Hondo, TX | How Will We Live Tomorrow? There are many taxidermy shops along U.S. 90 heading toward San Antonio. 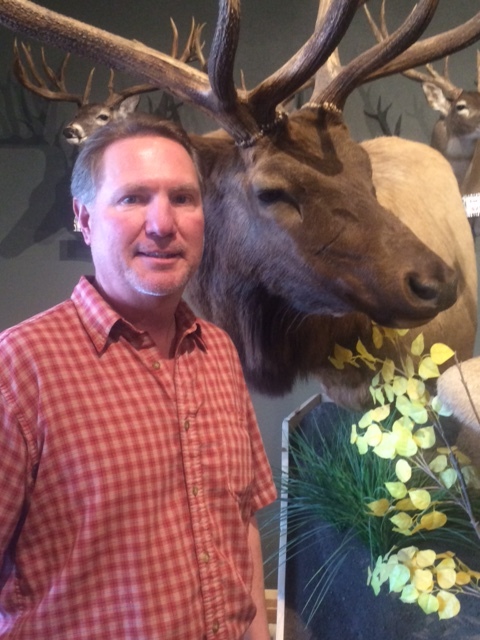 But when I saw the mammoth stuffed elk in the open door of an industrial building during a long day of riding, I decided to take a break and learn something. Joe Schneider, owner of Realistic Taxidermy, and his assistant Amanda toured me through their operation outside of Hondo, TX. 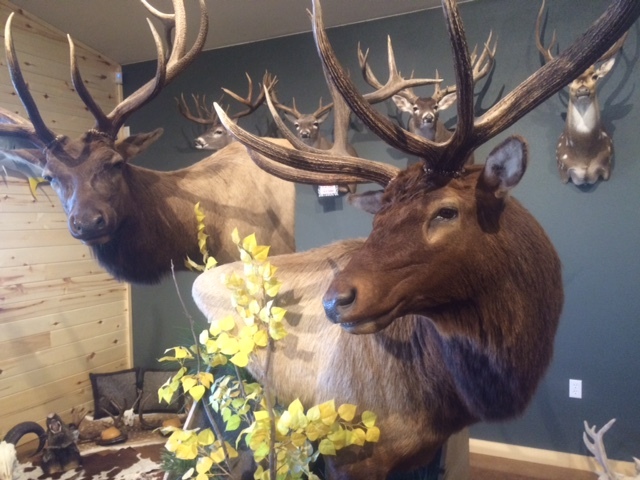 They preserve and mount all sorts of animals, half of which are white-tailed deer from the local region. Here’s how it works. Hunters bring them a deer. 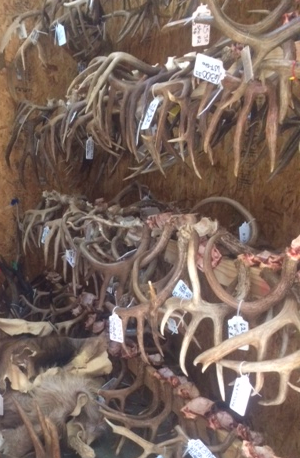 They take specific measurements along the neck, nose, brow, and antler mount of each animal. They remove the antlers and number match each part of the specimen. Then they remove the hide. They turn it inside out – every crevice – for tanning, which takes three to four weeks of salt drying and chemical treatment. 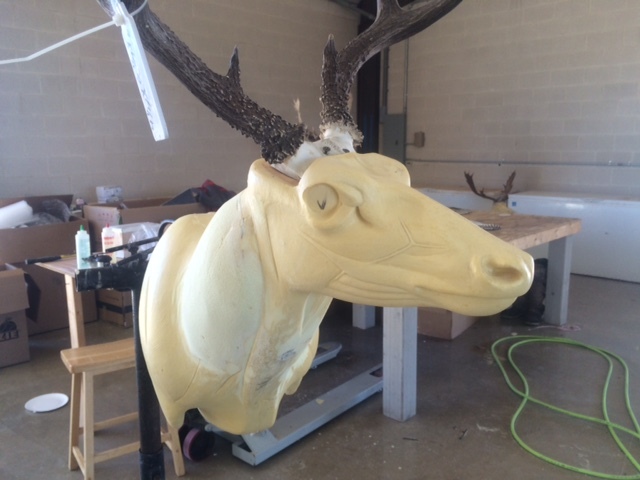 They select a prefabricated foam manikin that close matches the deer’s measurements. They elongate / shorten / adjust it to match their original measurements. No two deer are alike, though they all have the same color eyes. Glass eyes vary only in size. Once the hide has turned to leather, they mount the antlers and stretch the hide onto the form, a process that resembles shrink-wrapping. Deer hunting has a specific season in Texas. First, there is a period for bow hunters only, followed by rifle hunting for bucks, and then does. But in these parts, hunting is a year round occupation. “There are over sixty introduced species to this region that can be hunted anytime.” Some of the species are confined to huge ranches that have become hunting preserves. Others have escaped and become nuisances. Wild boars are particularly destructive, though few hunters want to mount one of them over their mantle. 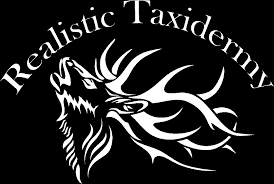 This entry was posted in Responses and tagged deer hunting, Hondo TX, hunting, Realistic Taxidermy, taxidermy. Bookmark the permalink.